Use your own fleets to your advantage, mobile advertising billboards that reach hundreds of people a day! Get the most out of your buck, advertise with your fleet while getting the job done transporting crews, services and tools around town. Let your presence be known to your customers. You can now keep up with your current advertising and promotional campaigns in a snap, just by changing your wraps. You can’t go wrong when fleet vehicles are awarded a discount of about 30% at our shop. 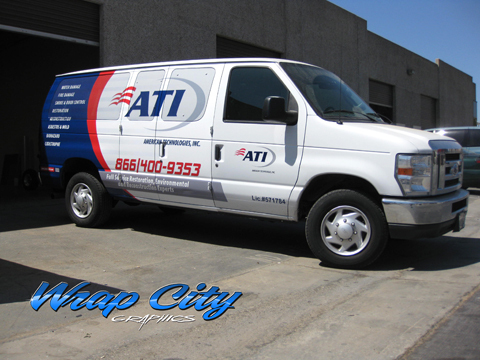 Call us at 858.566.4241 and get started on your fleet makeover today. 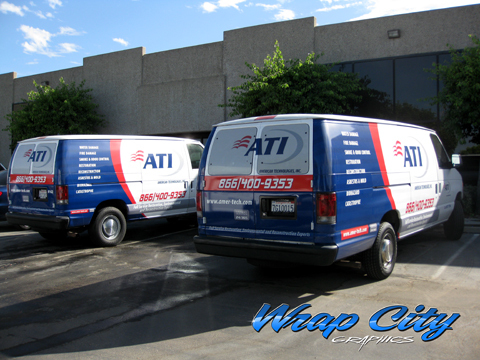 Wrap City completed 21 vehicle wraps for ATI in San Diego and added 21 Mobile billboards to their fleet. 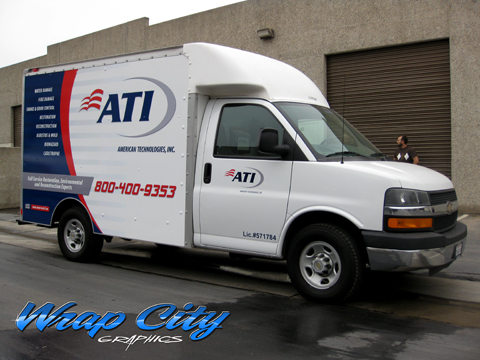 Vehicles wrapped included vans, box trucks, and pick up trucks. Of course, wrapping multiple vehicles gets you a better deal on your vehicle wrap. 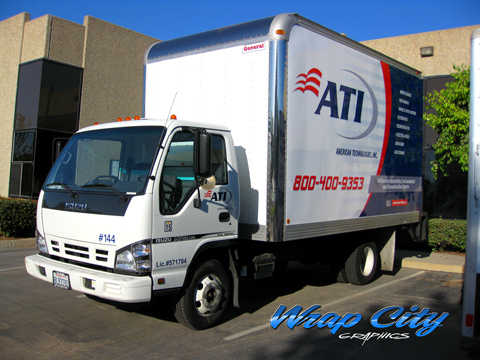 Give us a call for your free quote and see what kind of fleet wrap deal we have for you.